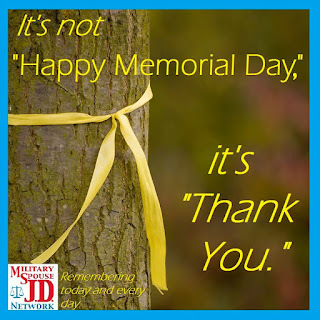 Note: I wrote this post for Memorial Day 2013, in response to some sentiments expressed in the military families community, to help the very civilian community in which I live understand those sentiments. I hope it helps. So it's finally here. It's the day that many people view as the unofficial "First Day of Summer." People spend time with friends and family, barbecue, and generally have a good time (because who doesn't love a Monday without work??). So it's commonplace to here people say "Happy Memorial Day!" I actually heard it on the radio just this morning. Here's the problem: amid all of the family, fun, celebration and sales, we often forget the actual purpose of Memorial Day. That is, people not directly affected by it do. Military families never forget. People who have lost husbands, wives, parents, siblings, or children fallen in war do not forget. And many of them get very upset (some my might say livid) that the rest of the population seems to have forgotten. And one major trigger for these feelings? "Happy Memorial Day!" I'm on the Communications Team for the Military Spouse JD Network. Hearing this understandable undercurrent of hurt and anger from our community, we worked together to create this graphic to express the sentiment we were feeling, and how many people in our community feel. And it's now been seen by over 14,000 people, and shared hundreds of times; people have even made it their profile picture. Apparently many people remember that Memorial Day is a day to remember. 1. We celebrate freedom, but we remember the cost. 2. We appreciate the sacrifices of our veterans and their families. 3. We love our military and their families. 4. We remember, today and every day. There are many other ways to express this sentiment. Please feel free to add your own in the comments section below. Thank you for posting this. I've been venting out this very thing on Facebook all day. Today is Memorial Day. NOT "happy" Memorial Day. It's not about cookouts, the beach, or even the armed forces who are still with us. It's about remembering those who made the ultimate sacrifice in service of our great country. Today we honor the fallen. 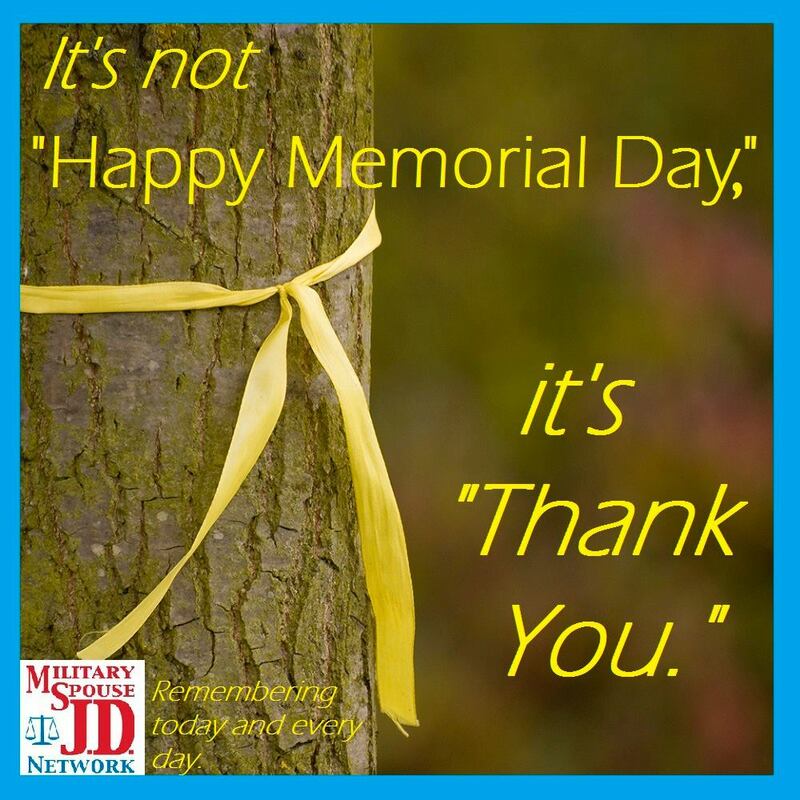 Saying "Happy" Memorial Day is like saying "Happy Patriot Day and National Day of Service and Remembrance" (9/11). Any day in which the Stars & Stripes should be displayed at half staff should not be preceded by the word "happy". I don't have a problem at all with people marking the day with cookouts, and family gatherings. I just don't believe that "commemorate" equates "happy". I am ETERNALLY THANKFUL these men & women chose to serve our country and gave their lives in service of our country, but I am not HAPPY that these men & women had to give their lives for it. I have been fortunate not to have lost any loved ones in combat, but my father retired from the Army with 22 years of service and my husband retired from the Army with 24 years of service. I have yet to see any type of official military statement about Memorial Day preceded with the word "Happy".